The Maverick Volleyball Club strives to push the boundaries of its programs to continually deliver more to its athletes, coaches and community. 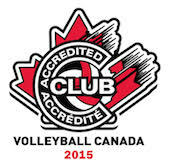 Our Club has grown exponentially and has recently achieved the highly coveted Volleyball Canada Club Accreditation. We deliver programs that consistently place our teams in premier tiers within Ontario and our athletes contribute to many of the top varsity teams in Canada. But we can do more -- there is always room for improvement! To that end, the Maverick Volleyball Club is proud to announce the launch of a special initiative to renew its vision for the long-term development of our athletes. consult with external partners, such as area schools, post-secondary volleyball programs and community organizations to learn how we can work together more effectively to achieve our common goal of developing youth – both on and off the court. Appendix A provides a preliminary list of topics to be explored within each Strategy Area. This is just a starting point to frame the dialogue. Over the next year, the Club will be consulting with stakeholders and developing Strategy Teams that will assess our current programs and make recommendations for each of the Strategy Areas. The results will be synthesized to form the Maverick Vision for Long-Term Athlete Development (MVLTAD). We invite you to be involved! The Maverick Volleyball Club is built on the foundation of dedicated volunteers who are passionate about volleyball – not only how it develops its athletes, but how it develops successful individuals who contribute to their community. The success of this initiative will depend on the energy, ideas and commitment of these volunteers. To volunteer your time and expertise to this initiative by participating in a Strategy Team, please submit this Volunteer Interest Form. Each Strategy Team will be comprised of 5-8 volunteers including: subject matter experts, coaches, parents, athletes, alumni, and community members. A Team Lead will be identified to lead their Team’s activities and report to the project’s co-managers, Sheila Roy and Ron Clarke, and ultimately, the Club’s Executive. The Terms of Reference will be developed by each Team to define the scope, objectives, meeting frequency and outcomes. To provide feedback on this initiative, please share your insight through the following questionnaire.